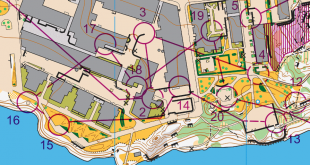 [Program: Sprint Tuesday July 25th, Middle distance Wednesday July 26th and Sprint Relay Thursday July 27th] The Orienteering disciplines in the World Games starts on Tuesday July 25th with an individual Sprint race. The World Games sets out to be the Olympic Games for non-Olympic sports. Around 3500 athletes compete in the World Games 2017 in Wroclaw, Poland – of these 80 are orienteers. The World Games is considered a stepping stone towards becoming part of the Olympic Games, and has therefore high priority for the International Orienteering Federation. In several nations the World Games has very high prestige – in some even at the level of the World Orienteering Championships (or higher) as it is important for funding of competitors. Most top runners are participating in the World Games 2017 – but some of the biggest stars are notably missing (see section “Competitors” below). The Sprints will be organized in partly urban area with good runnability on paved surface and an irregular network of buildings. The terrain is flat. 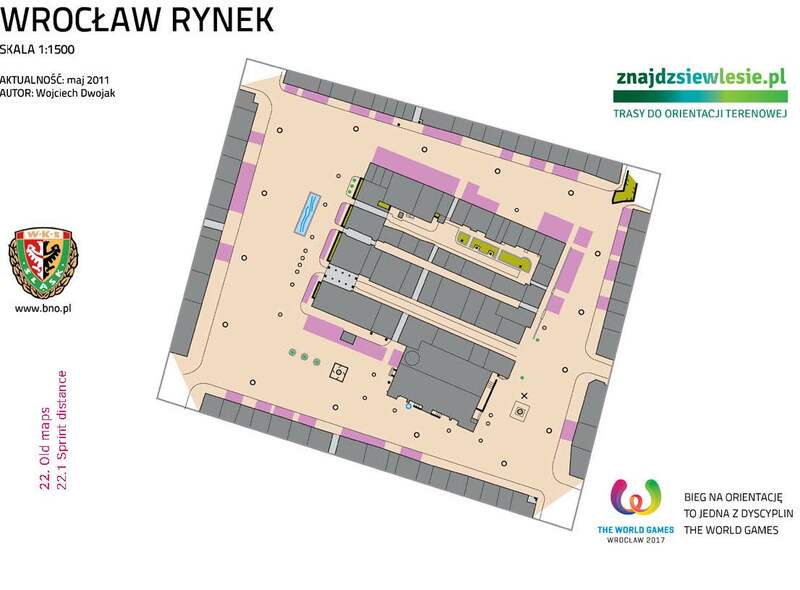 The Sprint Relay will partly go in Wroclaw Zoo. The Middle distance will be organized in moraine terrain with erosive forms of relief and complex contour details, ravines and valleys. The vegetation contains deciduous forest with rich undergrowth. The runnability and visibility varies from very good to poor, sometimes extremely poor. There is a dense network of roads and paths. Qualification for the World Games is based on an elaborate scheme, resulting in a total of 40 men and 40 women from 27 countries on the start list. The World Games teams can be seen in this World Games 2017 orienteering team overview (see below). 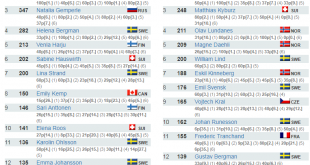 In this edition of the World Games most top runners are on the start list; however notably missing are all of the individual gold medalists from the recent World Orienteering Championships in Estonia except for Maja Alm (Denmark); Olav Lundanes, Thierry Gueorgiou, Daniel Hubmann and Tove Alexandersson are all missing from the start lists. Partly this is due to the qualification scheme (the last chance for change of entries was May 31st this year, later changes only allowed due to illness), partly due to priorities of the athletes (e.g. the World’s biggest orienteering event with the biggest money prizes, O-Ringen, is organized at the same dates as the World Games) and partly due to the disciplines not fitting the WOC gold medalists. The start field is, however, still a very good one – and we should see nice battles for the medals. 1. Jerker Lysell SWE Gold WOC Sprint (2016), Bronze WOC Sprint (2017), Bronze WOC Sprint (2015), Silver EOC Sprint (2014), 4th WOC Sprint (2014), Bronze EOC Sprint (2012), Gold WC #5, Sprint (2012), Silver WC #2, Sprint (2013), Silver WC #7, Sprint (2013), Gold WC #2, Sprint (2011), Bronze WC #14, Sprint (2014), Silver WC #10, Sprint (2011), Bronze WC #12, Sprint (2012), Silver WC #5, Sprint (2010) Ranked 8th in Sprint World Ranking. 2. Matthias Kyburz SUI Silver WOC Sprint (2016), Gold WOC Sprint (2012), Gold EOC Sprint (2016), 4th WOC Sprint (2017), Gold WC #2, Sprint (2016), Gold WC #1, Sprint (2015), Silver WC #1, Sprint (2017), Silver WC #10, Sprint (2016), 5th WOC Sprint (2014), Gold WC #4, Sprint (2013), Gold WC #7, Sprint (2013), Gold WC #2, Sprint (2013), Gold WC #13, Sprint (2013), Silver WC #14, Sprint (2014), Gold WC #11, Sprint (2012), Gold WC #1, Sprint (2011), Silver WC #5, Sprint (2012), Silver WC #9, Sprint (2012), Silver WC #12, Sprint (2012), Bronze WC #6, Sprint (2013), Bronze WC #10, Sprint (2011), Bronze WC #2, Sprint (2011), Gold JWOC Sprint (2009) Ranked Gold in Sprint World Ranking. 3. Frederic Tranchand FRA Silver WOC Sprint (2017), Bronze WOC Sprint (2010), 8th WOC Sprint (2016), Silver WC #11, Sprint (2012), 33rd WOC Sprint (2015), 10th WOC Sprint (2011), 43rd WOC Sprint (2013), 6th WC #1, Sprint (2017), 13th EOC Sprint (2014) Ranked 7th in Sprint World Ranking. 4. Søren Bobach DEN Gold WOC Sprint (2014), 9th WOC Sprint (2015), 9th WOC Sprint (2012), 20th EOC Sprint (2016), 7th WC #2, Sprint (2016), 14th EOC Sprint (2014), 24th WOC Sprint (2010), 8th WC #14, Sprint (2014), 14th WC #1, Sprint (2015), Bronze JWOC Sprint (2008) Ranked 29th in Sprint World Ranking. 5. Fabian Hertner SUI Silver WOC Sprint (2010), Gold EOC Sprint (2010), Gold WC #6, Sprint (2013), Silver WOC Sprint (2009), 4th WOC Sprint (2013), Gold WC #5, Sprint (2010), Bronze WC #12, Sprint (2012), Bronze WC #1, Sprint (2011), 4th WC #14, Sprint (2014) Ranked 60th in Sprint World Ranking. 6. Yannick Michiels BEL Gold WC #1, Sprint (2017), 5th WOC Sprint (2015), 7th WOC Sprint (2014), 34th WOC Sprint (2017), Bronze WC #9, Sprint (2014), 12th WOC Sprint (2013), 31st WOC Sprint (2012), 23rd EOC Sprint (2014), 6th WC #14, Sprint (2014) Ranked 17th in Sprint World Ranking. 7. Vojtech Kral CZE 6th WOC Sprint (2017), 6th WOC Sprint (2016), 12th WOC Sprint (2015), 17th WOC Sprint (2014), 10th WOC Sprint (2012), 11th EOC Sprint (2016), 9th EOC Sprint (2014), 6th WC #1, Sprint (2017), 8th WC #10, Sprint (2016), Gold JWOC Sprint (2007) Ranked 5th in Sprint World Ranking. 8. Martin Regborn SWE 7th WOC Sprint (2017), 7th WOC Sprint (2016), 4th EOC Sprint (2016), 21st WOC Sprint (2015), 15th WOC Sprint (2014), 4th WC #1, Sprint (2017), 7th WC #10, Sprint (2016), 9th WC #2, Sprint (2016), 19th WC #9, Sprint (2014) Ranked 4th in Sprint World Ranking. 9. Gustav Bergman SWE Silver EOC Sprint (2016), Bronze WC #1, Sprint (2015), 17th WOC Sprint (2013), 5th WC #14, Sprint (2014), 9th WC #1, Sprint (2017), 6th WC #9, Sprint (2014), 7th WC #4, Sprint (2013), 12th WC #10, Sprint (2016), 13th WC #2, Sprint (2016) Ranked 14th in Sprint World Ranking. 10. Andrey Khramov RUS Gold WOC Sprint (2009), 5th WOC Sprint (2012), Gold WOC Sprint (2008), 19th WOC Sprint (2016), 18th EOC Sprint (2016), 8th WOC Sprint (2010), 10th EOC Sprint (2014), 26th WOC Sprint (2011), Silver EOC Sprint (2004), Silver WC #2, Sprint (2009), Bronze EOC Sprint (2008), Bronze EOC Sprint (2006), Bronze WC #9, Sprint (2009) Ranked 26th in Sprint World Ranking. 11. Andreu Blanes Reig ESP 7th WOC Sprint (2015), 12th WOC Sprint (2017), 14th WOC Sprint (2016), 26th WOC Sprint (2014), 33rd WOC Sprint (2013), 24th WOC Sprint (2012), 31st EOC Sprint (2016), 40th EOC Sprint (2014), Silver JWOC Sprint (2011) Ranked 19th in Sprint World Ranking. 12. Hakon Jarvis Westergard NOR 8th WOC Sprint (2017), 20th WOC Sprint (2016), 6th EOC Sprint (2016), 26th WOC Sprint (2015), 23rd WC #1, Sprint (2017), 15th WC #10, Sprint (2016), 35th WC #2, Sprint (2016) Ranked 11th in Sprint World Ranking. 13. Florian Howald SUI Bronze EOC Sprint (2016), 7th EOC Sprint (2014), 4th WC #1, Sprint (2015), 5th WC #10, Sprint (2016), 6th WC #7, Sprint (2013), 14th WC #1, Sprint (2017), 17th WC #2, Sprint (2016), Bronze JWOC Sprint (2011), 10th WC #13, Sprint (2013) Ranked 13th in Sprint World Ranking. 14. Tim Robertson NZL 13th WOC Sprint (2016), 26th WOC Sprint (2017), 20th WOC Sprint (2015), 7th EOC Sprint (2016), Gold JWOC Sprint (2015), Gold JWOC Sprint (2014), 4th WC #10, Sprint (2016), 5th WC #2, Sprint (2016), 33rd WOC Sprint (2012), Bronze JWOC Sprint (2013) Ranked 10th in Sprint World Ranking. 15. Robert Merl AUT 33rd WOC Sprint (2017), 15th WOC Sprint (2015), 34th WOC Sprint (2016), 11th WOC Sprint (2014), 7th WOC Sprint (2011), 25th WOC Sprint (2013), 21st WOC Sprint (2012), 30th EOC Sprint (2016), 18th EOC Sprint (2014) Ranked 36th in Sprint World Ranking. 16. Kenny Kivikas EST 19th WOC Sprint (2017), 26th WOC Sprint (2016), 27th WOC Sprint (2015), 45th WOC Sprint (2013), 19th EOC Sprint (2016), 15th WC #1, Sprint (2017), 16th WC #10, Sprint (2016), 35th EOC Sprint (2012), 23rd JWOC Sprint (2011) Ranked 20th in Sprint World Ranking. 17. Lucas Basset FRA 17th WOC Sprint (2017), 23rd WOC Sprint (2015), 20th WOC Sprint (2014), 23rd EOC Sprint (2016), Gold JWOC Sprint (2011), 24th EOC Sprint (2014), 22nd EOC Sprint (2012), 12th WC #10, Sprint (2016), 21st WC #14, Sprint (2014) Ranked 30th in Sprint World Ranking. 18. Andreas Hougaard Boesen DEN 27th WOC Sprint (2016), 24th WOC Sprint (2015), 39th WOC Sprint (2014), 26th WOC Sprint (2013), 29th EOC Sprint (2016), 36th EOC Sprint (2014), 8th WC #1, Sprint (2015), 14th WC #2, Sprint (2016), 26th WC #1, Sprint (2017) Ranked 28th in Sprint World Ranking. 19. Peter Hodkinson GBR 13th WOC Sprint (2017), 22nd WOC Sprint (2016), 27th EOC Sprint (2016), 25th EOC Sprint (2014), 27th WC #2, Sprint (2016), 48th WC #11, Sprint (2012), 26th JWOC Sprint (2011), 34th JWOC Sprint (2010) Ranked 24th in Sprint World Ranking. 20. Jan Petrzela CZE 25th WOC Sprint (2017), 29th WOC Sprint (2015), 22nd EOC Sprint (2014), Silver JWOC Sprint (2012), 34th WC #1, Sprint (2017), 29th WC #10, Sprint (2016), 26th WC #14, Sprint (2014), 39th WC #4, Sprint (2013), 57th WC #6, Sprint (2013) Ranked 38th in Sprint World Ranking. 1. Maja Alm DEN Gold WOC Sprint (2017), Gold WOC Sprint (2016), Gold WOC Sprint (2015), Silver WOC Sprint (2012), Bronze WOC Sprint (2014), Gold WC #1, Sprint (2017), Bronze EOC Sprint (2016), Silver WC #2, Sprint (2016), Silver WC #10, Sprint (2016), Silver WC #14, Sprint (2014), Silver WC #9, Sprint (2014), Bronze EOC Sprint (2012), Silver WC #5, Sprint (2012), Bronze EOC Sprint (2010), Bronze JWOC Sprint (2007) Ranked Gold in Sprint World Ranking. 2. Nadiya Volynska UKR Silver WOC Sprint (2015), Silver EOC Sprint (2016), Silver EOC Sprint (2014), 4th WOC Sprint (2014), 13th WOC Sprint (2017), Bronze WC #2, Sprint (2016), 11th WOC Sprint (2016), 11th WOC Sprint (2013), 17th WC #1, Sprint (2017) Ranked 5th in Sprint World Ranking. 3. Galina Vinogradova RUS Bronze WOC Sprint (2017), Bronze WOC Sprint (2015), Bronze EOC Sprint (2016), 4th WOC Sprint (2016), 7th WOC Sprint (2014), 6th WOC Sprint (2013), Gold WC #2, Sprint (2011), 8th WOC Sprint (2011), 6th WC #1, Sprint (2017), Bronze WC #5, Sprint (2010) Ranked Bronze in Sprint World Ranking. 4. Natalia Gemperle RUS Silver WOC Sprint (2017), 19th WOC Sprint (2014), 6th WC #1, Sprint (2017), 22nd EOC Sprint (2014), 13th WC #10, Sprint (2016), 29th WC #2, Sprint (2016), 30th WC #9, Sprint (2014), 26th EOC Sprint (2010), 24th WC #2, Sprint (2011) Ranked 15th in Sprint World Ranking. 5. Helena Jansson SWE Silver WOC Sprint (2011), Silver WOC Sprint (2010), Gold WOC Sprint (2009), Gold EOC Sprint (2010), 4th WOC Sprint (2012), Silver WC #12, Sprint (2012), Bronze WC #9, Sprint (2014), Gold WC #5, Sprint (2010), Silver WC #12, Sprint (2010), Bronze WC #10, Sprint (2011), Bronze WOC Sprint (2008), Bronze EOC Sprint (2008), Silver WC #1, Sprint (2007) Ranked 14th in Sprint World Ranking. 6. Anastasia Denisova BLR Bronze WOC Sprint (2016), 5th WOC Sprint (2017), Bronze JWOC Sprint (2013), 32nd WC #10, Sprint (2016), 33rd WC #2, Sprint (2016), 10th JWOC Sprint (2012) Ranked 17th in Sprint World Ranking. 7. Elena Roos SUI 6th WOC Sprint (2017), 6th WOC Sprint (2016), 6th EOC Sprint (2016), 6th WC #10, Sprint (2016), 14th EOC Sprint (2014), 7th WC #1, Sprint (2015), 14th WC #1, Sprint (2017), 14th WC #2, Sprint (2016), 20th WC #9, Sprint (2014) Ranked 4th in Sprint World Ranking. 8. Marika Teini FIN 9th WOC Sprint (2016), 10th WOC Sprint (2017), Bronze WC #2, Sprint (2016), 16th WOC Sprint (2014), 14th WOC Sprint (2012), 11th EOC Sprint (2016), 8th EOC Sprint (2012), 12th EOC Sprint (2014), 22nd WC #1, Sprint (2017) Ranked 8th in Sprint World Ranking. 9. Lina Strand SWE Bronze WC #1, Sprint (2017), 12th WOC Sprint (2017), 11th WOC Sprint (2016), 17th WOC Sprint (2014), Bronze WC #4, Sprint (2013), 12th WOC Sprint (2013), 15th EOC Sprint (2016), 10th EOC Sprint (2014), 6th WC #2, Sprint (2016) Ranked 6th in Sprint World Ranking. 10. Cecilie Friberg Klysner DEN 7th WOC Sprint (2017), 18th WOC Sprint (2016), 14th WOC Sprint (2015), 16th EOC Sprint (2016), 14th WC #1, Sprint (2015), 17th JWOC Sprint (2013), 20th JWOC Sprint (2012) Ranked 18th in Sprint World Ranking. 11. Ursula Kadan AUT 8th WOC Sprint (2017), 23rd WOC Sprint (2016), 18th WOC Sprint (2014), 37th WOC Sprint (2015), 23rd WOC Sprint (2013), 22nd WOC Sprint (2012), 34th EOC Sprint (2016), 18th EOC Sprint (2014), 33rd WOC Sprint (2011) Ranked 25th in Sprint World Ranking. 12. Ida Marie Næss Bjørgul NOR 7th WOC Sprint (2016), 9th WOC Sprint (2017), 24th EOC Sprint (2014), 24th WC #10, Sprint (2016), 36th WC #1, Sprint (2017), 40th EOC Sprint (2010), 33rd WC #10, Sprint (2011), 35th WC #2, Sprint (2011), 25th WC #5, Sprint (2010) Ranked 24th in Sprint World Ranking. 13. Isia Basset FRA 18th WOC Sprint (2017), 16th WOC Sprint (2016), 27th WOC Sprint (2015), 17th EOC Sprint (2016), 17th WC #10, Sprint (2016), 31st WC #14, Sprint (2014), 14th JWOC Sprint (2013), 14th JWOC Sprint (2011), 64th JWOC Sprint (2012) Ranked 22nd in Sprint World Ranking. 14. Tessa Strain GBR 5th WOC Sprint (2013), 12th WOC Sprint (2014), 11th WOC Sprint (2012), 9th EOC Sprint (2014), 22nd WOC Sprint (2011), 13th WC #1, Sprint (2017), 4th WC #10, Sprint (2011), 10th WC #6, Sprint (2013), 18th WC #9, Sprint (2014) Ranked 38th in Sprint World Ranking. 15. Lizzie Ingham NZL 45th WOC Sprint (2017), 13th WOC Sprint (2014), 32nd WOC Sprint (2015), Bronze WC #2, Sprint (2013), 9th WOC Sprint (2012), 14th WOC Sprint (2013), 11th WOC Sprint (2011), 20th WC #1, Sprint (2015), 15th JWOC Sprint (2008) Ranked 121st in Sprint World Ranking. 16. Evely Kaasiku EST 33rd WOC Sprint (2017), 32nd WOC Sprint (2016), 35th WOC Sprint (2015), 44th WOC Sprint (2014), 36th EOC Sprint (2016), 38th EOC Sprint (2014), 39th WC #2, Sprint (2016), 37th WC #9, Sprint (2014), 24th JWOC Sprint (2013) Ranked 51st in Sprint World Ranking. 17. Fanni Gyurku HUN 17th WOC Sprint (2016), 18th WOC Sprint (2015), 33rd WOC Sprint (2014), 14th WOC Sprint (2012), 36th WOC Sprint (2013), 45th EOC Sprint (2016), 48th EOC Sprint (2012), 26th WOC Sprint (2009), 23rd WC #2, Sprint (2013) Ranked 59th in Sprint World Ranking. 18. Laura Robertson NZL 37th WOC Sprint (2017), 29th WOC Sprint (2016), 40th WOC Sprint (2015), 41st EOC Sprint (2016), 18th WC #1, Sprint (2015), 31st WC #2, Sprint (2013), 27th JWOC Sprint (2012), 38th JWOC Sprint (2013), 27th JWOC Sprint (2010) Ranked 52nd in Sprint World Ranking. 19. Carlotta Scalet ITA 31st WOC Sprint (2017), 31st WOC Sprint (2016), 38th WOC Sprint (2013), 18th EOC Sprint (2016), 45th EOC Sprint (2012), 37th WC #10, Sprint (2016), 51st JWOC Sprint (2011), 65th JWOC Sprint (2010), 45th JWOC Sprint (2009) Ranked 35th in Sprint World Ranking. 20. Virag Weiler HUN 21st WOC Sprint (2017), 26th WOC Sprint (2016), 31st EOC Sprint (2016), 4th JWOC Sprint (2016), 44th JWOC Sprint (2014), 66th JWOC Sprint (2015), 53rd JWOC Sprint (2013) Ranked 34th in Sprint World Ranking. 1. Fabian Hertner SUI Silver WOC Middle (2017), Silver WOC Middle (2014), Silver EOC Middle (2014), Bronze WOC Middle (2012), 5th WOC Middle (2015), Gold WC #1, Middle (2013), 5th WOC Middle (2013), 15th WOC Middle (2016), Bronze WC #9, Middle (2011), Bronze WC #3, Middle (2011), Gold JWOC Middle (2005) Ranked 26th in World Ranking. 2. Matthias Kyburz SUI Gold WOC Middle (2016), Gold EOC Middle (2016), 4th WOC Middle (2013), 10th WOC Middle (2017), Silver WC #1, Middle (2014), Gold WC #4, Middle (2012), Gold WC #13, Middle (2012), Silver WC #8, Middle (2013), Silver WC #12, Middle (2013), Bronze WC #6, Middle (2015), Bronze WC #2, Middle (2015), Bronze WC #7, Middle (2014), Bronze WC #10, Middle (2012) Ranked Bronze in World Ranking. 3. Oleksandr Kratov UKR Bronze WOC Middle (2017), Bronze WOC Middle (2014), Gold WC #3, Middle (2014), 6th WOC Middle (2015), 4th WOC Middle (2011), 30th WOC Middle (2016), 11th WOC Middle (2013), 6th EOC Middle (2014), 5th WOC Middle (2010) Ranked 20th in World Ranking. 4. 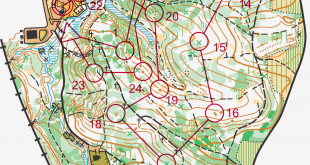 Lucas Basset FRA Silver WOC Middle (2015), Bronze EOC Middle (2016), 5th WOC Middle (2016), 14th WOC Middle (2017), 15th WOC Middle (2014), 24th WOC Middle (2012), 32nd EOC Middle (2014), 5th WC #5, Middle (2013), 22nd WC #2, Middle (2017) Ranked 11th in World Ranking. 5. Gustav Bergman SWE Silver EOC Middle (2016), Bronze WOC Middle (2013), 6th WOC Middle (2017), 7th WOC Middle (2016), Silver WC #5, Middle (2013), 9th WOC Middle (2014), 17th WOC Middle (2015), Bronze WC #1, Middle (2014), 8th WOC Middle (2012), Bronze WC #8, Middle (2013) Ranked 5th in World Ranking. 6. Florian Howald SUI 7th WOC Middle (2017), Silver WC #13, Middle (2014), 5th EOC Middle (2016), 21st WOC Middle (2016), 4th WC #2, Middle (2015), 24th EOC Middle (2014), 8th WC #1, Middle (2016), 30th WC #2, Middle (2017), 13th WC #11, Middle (2015) Ranked 16th in World Ranking. 7. Ruslan Glibov UKR Silver WC #11, Middle (2015), 17th WOC Middle (2017), 13th WOC Middle (2016), 19th EOC Middle (2016), 25th EOC Middle (2014), 8th WC #1, Middle (2016), 18th WC #2, Middle (2017), 13th WC #6, Middle (2015), 47th WC #3, Middle (2014) Ranked 19th in World Ranking. 8. Vojtech Kral CZE 12th WOC Middle (2017), 11th WOC Middle (2016), 19th WOC Middle (2015), 35th WOC Middle (2014), 15th EOC Middle (2016), 31st WOC Middle (2012), 10th EOC Middle (2014), 13th WC #2, Middle (2017), 22nd EOC Middle (2012) Ranked 15th in World Ranking. 9. Gernot Kerschbaumer AUT 21st WOC Middle (2017), 16th WOC Middle (2015), 34th WOC Middle (2016), 20th WOC Middle (2014), 15th WOC Middle (2013), 20th WOC Middle (2012), 12th EOC Middle (2016), Bronze WC #7, Middle (2011), 17th WOC Middle (2011) Ranked 23rd in World Ranking. 10. Robert Merl AUT 20th WOC Middle (2017), 29th WOC Middle (2016), 14th WOC Middle (2014), 32nd WOC Middle (2015), 26th WOC Middle (2013), 26th WOC Middle (2012), 25th WOC Middle (2011), 40th EOC Middle (2016), Gold JWOC Middle (2011) Ranked 56th in World Ranking. 11. Andreu Blanes Reig ESP 33rd WOC Middle (2017), 38th WOC Middle (2016), 44th WOC Middle (2014), 31st WOC Middle (2013), 73rd EOC Middle (2014), 40th WC #1, Middle (2016), 38th WC #3, Middle (2014), 13th JWOC Middle (2011), 12th JWOC Middle (2010) Ranked 76th in World Ranking. 12. Søren Bobach DEN Bronze WC #13, Middle (2014), 23rd WOC Middle (2015), 35th WOC Middle (2016), 25th WOC Middle (2010), 45th EOC Middle (2014), 16th WC #1, Middle (2016), 38th EOC Middle (2012), 27th WC #6, Middle (2015), 37th WC #2, Middle (2015), Gold JWOC Middle (2006), Bronze JWOC Middle (2008) Ranked 86th in World Ranking. 13. Bartosz Pawlak POL 29th WOC Middle (2017), 32nd WOC Middle (2016), 46th WOC Middle (2014), 35th EOC Middle (2016), 44th WC #2, Middle (2017), 49th WC #1, Middle (2016), 32nd WC #3, Middle (2014), 69th WC #6, Middle (2015), 43rd WC #13, Middle (2012) Ranked 45th in World Ranking. 14. Dmitriy Tsvetkov RUS 13th WOC Middle (2016), 17th WOC Middle (2014), 33rd EOC Middle (2016), 8th EOC Middle (2012), 32nd EOC Middle (2014), 29th WC #2, Middle (2017), 19th WC #6, Middle (2015), 18th WC #12, Middle (2013), 25th EOC Middle (2010) Ranked 33rd in World Ranking. 15. Jerker Lysell SWE Gold WC #3, Middle (2013), Bronze WC #1, Middle (2013), 28th EOC Middle (2012), 15th WC #1, Middle (2014), 26th WC #11, Middle (2015), 18th WC #13, Middle (2014), 31st WC #2, Middle (2015), 6th WC #6, Middle (2010), 23rd WC #12, Middle (2013) Ranked 560th in World Ranking. 16. Martin Regborn SWE Gold WC #2, Middle (2017), 24th WC #1, Middle (2016), 7th JWOC Middle (2012), 8th JWOC Middle (2011) Ranked 10th in World Ranking. 17. Aron Baku HUN 42nd WOC Middle (2016), 53rd WOC Middle (2017), 42nd WOC Middle (2015), 46th EOC Middle (2016), 40th WC #11, Middle (2015), 91st WC #1, Middle (2016), 60th JWOC Middle (2012) Ranked 136th in World Ranking. 18. Ralph Street GBR 22nd WOC Middle (2016), 37th WOC Middle (2017), 23rd EOC Middle (2014), 25th WC #1, Middle (2016), 55th WC #2, Middle (2017), 43rd WC #13, Middle (2014), 38th WC #8, Middle (2013), 41st WC #5, Middle (2013), 67th WC #6, Middle (2015) Ranked 46th in World Ranking. 19. Mate Baumholczer HUN 38th WOC Middle (2017), 46th WOC Middle (2016), 49th WOC Middle (2014), 79th WC #1, Middle (2016), 56th WC #12, Middle (2013), 45th WC #7, Middle (2011), 32nd JWOC Middle (2011) Ranked 122nd in World Ranking. 20. Miika Kirmula FIN 27th WOC Middle (2016), Gold JWOC Middle (2014), 44th EOC Middle (2016), 24th WC #2, Middle (2017), 22nd WC #11, Middle (2015), 37th WC #1, Middle (2016), 81st WC #6, Middle (2015) Ranked 32nd in World Ranking. 1. Helena Jansson SWE Gold WOC Middle (2011), Gold WC #2, Middle (2017), Gold WC #1, Middle (2016), 6th WOC Middle (2017), Gold WC #6, Middle (2015), Gold WC #1, Middle (2013), Silver WC #1, Middle (2014), Silver WC #7, Middle (2014), 8th WOC Middle (2015), Silver WC #13, Middle (2012), Bronze WC #3, Middle (2014), Silver WC #9, Middle (2011), Silver WC #11, Middle (2010), Gold WC #1, Middle (2009), Bronze WC #7, Middle (2011), Silver WC #8, Middle (2009), Bronze WC #3, Middle (2009), Bronze WC #4, Middle (2008), Gold JWOC Middle (2004) Ranked 4th in World Ranking. 2. Natalia Gemperle RUS Bronze WOC Middle (2016), Silver WC #2, Middle (2017), 7th WOC Middle (2017), 14th WOC Middle (2015), 5th WOC Middle (2011), 13th EOC Middle (2016), 9th EOC Middle (2014), 4th WC #11, Middle (2015), 17th EOC Middle (2012) Ranked Silver in World Ranking. 3. Maja Alm DEN Silver EOC Middle (2014), 5th WOC Middle (2016), 6th WOC Middle (2014), 5th EOC Middle (2016), 11th WOC Middle (2015), 6th WOC Middle (2011), 10th WOC Middle (2013), 6th WC #2, Middle (2017), 28th WOC Middle (2012) Ranked Bronze in World Ranking. 4. Emily Kemp CAN 4th WOC Middle (2016), 5th WOC Middle (2017), 4th EOC Middle (2016), 11th WOC Middle (2014), 36th WOC Middle (2015), 26th WOC Middle (2013), 7th WC #2, Middle (2017), 27th EOC Middle (2014), 25th WC #6, Middle (2015) Ranked 6th in World Ranking. 5. Nadiya Volynska UKR 6th WOC Middle (2015), Silver WC #11, Middle (2015), Silver WC #6, Middle (2015), 10th WOC Middle (2017), 18th WOC Middle (2016), 16th WOC Middle (2014), Bronze WC #12, Middle (2013), 6th EOC Middle (2014), 16th WOC Middle (2013) Ranked 28th in World Ranking. 6. Marika Teini FIN Bronze EOC Middle (2016), 6th WOC Middle (2016), 9th WOC Middle (2017), 5th WC #2, Middle (2017), 21st EOC Middle (2014), 37th WC #4, Middle (2012), 7th JWOC Middle (2009), 6th JWOC Middle (2008) Ranked 11th in World Ranking. 7. Sabine Hauswirth SUI 7th WOC Middle (2016), 14th WOC Middle (2017), 14th WOC Middle (2014), 38th WOC Middle (2015), 7th EOC Middle (2014), 4th WC #2, Middle (2017), 4th WC #13, Middle (2014), 4th WC #1, Middle (2014), 8th WC #11, Middle (2015) Ranked 5th in World Ranking. 8. Inga Dambe LAT 11th WOC Middle (2017), 19th WOC Middle (2016), 28th WOC Middle (2015), 19th WOC Middle (2014), 9th WOC Middle (2012), 12th WOC Middle (2013), 27th EOC Middle (2016), 28th EOC Middle (2012), 59th EOC Middle (2014) Ranked 45th in World Ranking. 9. Lina Strand SWE Bronze WC #2, Middle (2017), 13th WOC Middle (2017), 9th EOC Middle (2016), 27th WOC Middle (2013), 11th WOC Middle (2012), 18th EOC Middle (2014), 4th WC #10, Middle (2012), 6th WC #8, Middle (2013), 8th WC #13, Middle (2014) Ranked 18th in World Ranking. 10. Lizzie Ingham NZL 22nd WOC Middle (2017), 24th WOC Middle (2016), 19th WOC Middle (2015), 20th WOC Middle (2014), 39th WOC Middle (2012), 18th WOC Middle (2011), 8th WC #3, Middle (2013), 12th WC #2, Middle (2015), 17th WC #11, Middle (2015) Ranked 61st in World Ranking. 11. Isia Basset FRA 17th WOC Middle (2017), 28th WOC Middle (2016), 37th WOC Middle (2015), 38th WOC Middle (2014), 23rd EOC Middle (2016), 23rd WC #2, Middle (2017), 73rd EOC Middle (2014), 26th WC #13, Middle (2014), 26th WC #1, Middle (2014) Ranked 39th in World Ranking. 12. Evely Kaasiku EST 16th WOC Middle (2017), 32nd WOC Middle (2016), 29th WOC Middle (2014), 44th WOC Middle (2015), 36th EOC Middle (2016), 55th EOC Middle (2014), 31st WC #11, Middle (2015), 54th WC #1, Middle (2016), 35th WC #3, Middle (2014) Ranked 63rd in World Ranking. 13. Susen Lösch GER 21st WOC Middle (2017), 30th WOC Middle (2016), 34th WOC Middle (2015), 44th WOC Middle (2014), 51st EOC Middle (2014), 49th WC #2, Middle (2017), 33rd WC #11, Middle (2015), 45th WC #6, Middle (2015), 42nd WC #7, Middle (2011) Ranked 59th in World Ranking. 14. Louise Oram CAN 37th WOC Middle (2016), 28th WOC Middle (2014), 42nd WOC Middle (2015), 41st WOC Middle (2013), 41st WOC Middle (2012), 36th WOC Middle (2011), 28th WOC Middle (2010), 63rd EOC Middle (2014), 47th WC #7, Middle (2014) Ranked 87th in World Ranking. 15. Carlotta Scalet ITA 44th WOC Middle (2017), 38th WOC Middle (2016), 43rd WOC Middle (2014), 39th EOC Middle (2016), 39th WOC Middle (2011), 70th EOC Middle (2014), 45th WC #12, Middle (2013), 54th WC #4, Middle (2012), 49th WC #7, Middle (2011) Ranked 95th in World Ranking. 16. Fanni Gyurku HUN 33rd WOC Middle (2016), 45th WOC Middle (2015), 40th WOC Middle (2014), 14th WOC Middle (2012), 46th EOC Middle (2014), 40th WOC Middle (2010), 32nd WC #1, Middle (2016), 45th WC #2, Middle (2017), 17th WC #1, Middle (2013) Ranked 57th in World Ranking. 17. Anastasia Denisova BLR 8th WOC Middle (2016), 35th WOC Middle (2017), 23rd WC #1, Middle (2016), 41st EOC Middle (2012), 44th WC #13, Middle (2014), 83rd WC #6, Middle (2015), 31st JWOC Middle (2012) Ranked 29th in World Ranking. 18. Denisa Kosova CZE 20th WOC Middle (2016), 49th WOC Middle (2017), 7th WC #1, Middle (2016), 47th EOC Middle (2016), 44th WC #2, Middle (2017), 39th WC #11, Middle (2015), 6th JWOC Middle (2011) Ranked 36th in World Ranking. 19. Ursula Kadan AUT 34th WOC Middle (2016), 23rd WOC Middle (2013), 32nd WOC Middle (2012), 32nd EOC Middle (2014), 20th WC #2, Middle (2017), 36th WOC Middle (2010), 16th WC #1, Middle (2016), 21st WC #1, Middle (2014), 37th WC #13, Middle (2014) Ranked 37th in World Ranking. 20. Laura Ramstein AUT 27th WOC Middle (2017), 41st WOC Middle (2015), 32nd EOC Middle (2016), 83rd EOC Middle (2014), 47th WC #1, Middle (2016), 41st WC #11, Middle (2015), 64th WC #2, Middle (2017), 53rd WC #13, Middle (2014), 78th WC #6, Middle (2015) Ranked 74th in World Ranking.